Summer's end or endless possibilities? I think it's in our nature to avoid saying "goodbye," to things that are irresistible. Take summer for instance — the weather, the vacations, the picnic and BBQ's, the outdoor blues festivals, yes, it's hard to say goodbye to these things. This is Labor Day weekend in the USA, a holiday that has, since 1894, celebrated the working class who have added to the strength, prosperity, and well-being of the USA. Labor Day also marks the unofficial last gasp of summer. Even though we may have to say goodbye to summer or things that are irresistible, there is something to celebrate in change. Change forces us to rethink our possibilities. Correction in article of new ad sponsor IMP & Blenz's article last week: Ramona (Monie) Cox joined Wayne Blackwell of IMP and they then teamed up with Pete Unstead of The Blenz. NEWS: The Blenz Indie Blues is now a 2 hour show. *Want a hard copy? Check with your local blues society, look for one at a blues festival or you can find our magazine order info here. 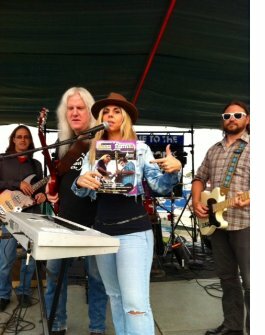 Start snapping those pics with the 12th annual Blues Festival Guide magazine! Find the Digital Edition of the 2014 BLUES FESTIVAL GUIDE Magazine on our website and enjoy 98 pages jam-packed with blues, news, history, lifestyle and of course, FESTIVALS! 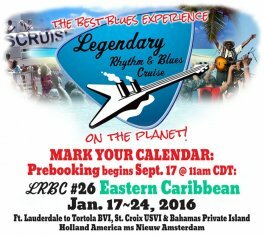 Our 2014 edition is sponsored by the Jackson Rhythm & Blues Festival, held Aug 15-16, 2014, Jackson, MS.
Voting continues for Blues Festival Guide E-Editor Nominated 2014 San Diego Music Awards "Best Blues"
We're excited that our Editor Michele Lundeen has been nominated once again for "Best Blues" by the San Diego Music Awards. Nicknamed the "Queen of Steam" for her passionate and energetic delivery, Michele has been performing in the San Diego, California area since 1998 after relocating from Reno, Nevada. We're so proud of Michele and wishing her the best! This is her 11th nomination and we'd love to see her win! Please cast your vote here. You can vote daily until September 16 (PDT). 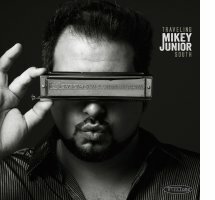 Produced by Dave Gross for SwingNation/VizzTone, Mikey Junior’s Traveling South has a level of depth, maturity, restraint and musicality that reaches the soul through his impassioned vocals, bringing a whole new dimension to his already impressive catalog. Well-written originals and choice covers are brought to life with a vision that truly separates Mikey from his contemporaries. 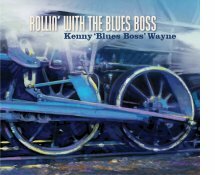 Monster keyboardist and soulful singer Kenny Wayne’s latest album, Rollin’ With the Blues Boss, his second album for Stony Plain Records, was produced and recorded in Vancouver by Tom Lavin, leader of Canada’s legendary Powder Blues Band, and it features some of the city’s most creative backup players. It also features guest appearances on one track each from Stony Plain artist Eric Bibb and singer Diunna Greenleaf. Resplendent in one of his many multi-hued French custom-tailored stage suits, Kenny Wayne is a throwback to the golden age of classic rhythm and blues. 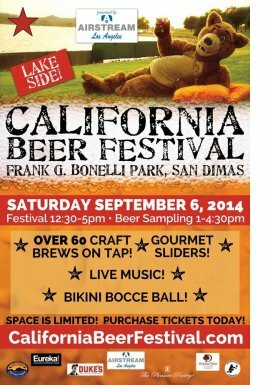 (San Dimas, CA) - The legendary California Beer Festival (CBF) is coming back to Frank G. Bonelli Park in San Dimas, California, September 6 from 12:30-5pm (Beer Sampling 1-4:30pm). The event will feature over 60 craft brews on tap, live entertainment, bocce ball and sliders. Enjoy great craft beer and mouthwatering food throughout the day, including unique and delicious sliders. CBF is THE event of the year for any beer or food enthusiast. CBF's main goal is to shine a light on the craft beer movement and celebrate great beer. This lakeside setting is the perfect place to spend a sunny, Saturday afternoon with great friends, live music, food and amazing craft beer. 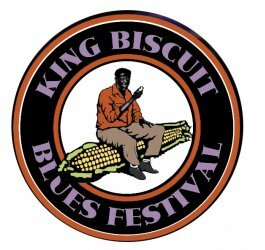 (Helena, AR) - The 29th annual King Biscuit Blues Festival in historic Helena, Arkansas is drawing near! The renowned festival takes place October 8-11. The event kicks off with “Warm Up Wednesday” on October 8, giving fans an opportunity to experience a “behind-the-scenes” look at how the festival comes together. Food and beverage vendors will be open to the public. Festival wristbands (required to access the Main Stage area) and Blues Bucks will also be available for purchase. 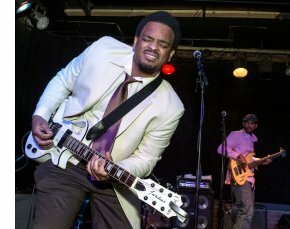 Beginning at 6 pm., it’s the Michael Burks Memorial Jam. The concert is free and open to the public. (Tallahassee, FL) - A great day of music and community is coming in support of a great organization, in memory of a great musician and person, Pat Ramsey. 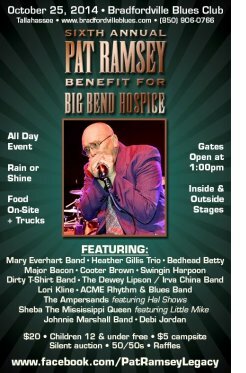 Pat’s wish was to give back and October 25 will mark the 6th year benefiting Big Bend Hospice in Pat's honor. The benefit will be held at the Bradfordville Blues Club, (7152 Moses Lane), Tallahassee, Florida. Pat Ramsey was a well-known and loved person, musician and blues singer around the globe. Pat passed away on Nov. 17, 2008 but his music lives on and he is remembered in the hearts of his family, friends and fans. The Central Delaware Blues Society will host its inaugural music festival, the Roadhouse Blues Fest, Sunday, August 31 at Jonathan's Landing Golf Course, 1309 Ponderosa Dr., Magnolia, Delaware. The Ventura County Blues Society and The Bombay Bar and Grill proudly present THE SESSION, a Weekly Blues Showcase and Jam session held every week at The Bombay Bar and Grill, 143 S. California St., Ventura, California. Prebook #25 2015 Oct "Big Easy Fantasy" NOW! ~ New auction item: The BF has another autographed LP this month to auction: Bad Company's Run With The Pack signed by lead singer Paul Rodgers. Paul signed this album specifically to raise funds for The Blues Foundation. Paul is donating proceeds from his latest release The Royal Sessions to the Stax Music Academy so in keeping with his generosity, we will assign all proceeds from this albums to our own Generation Blues youth music scholarship program. The winning bidder will get a great rock artifact and some young blues performer will get to go to camp next summer. Click HERE to bid NOW! Jarekus Singleton was a top-ranked college basketball player, when an ankle injury took him out of the game. 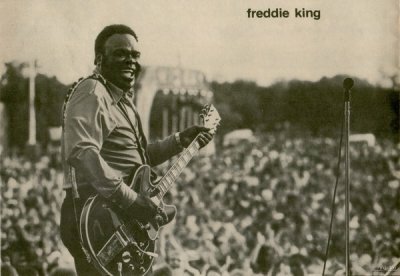 Luckily for us, he had a back up plan – blues music. Jarekus is an accomplished singer, songwriter, and guitar player. Needless to say, he's got game. Rising blues star Jarekus Singleton. Next time, in the Bluesmobile. are listed here due to space. For a complete list see our comprehensive website.